From a love of corvids and entomology an interest in Norse mythology and folklore and a passion for things that are a little on the dark side, I have created a collection of bottles with a twist. 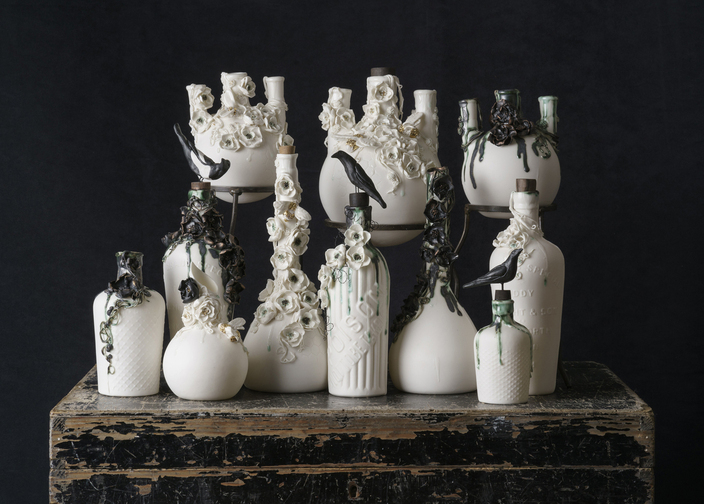 I take old poison, scientific and apothecary bottles and cast them in parian or porcelain clay. Some are decorated with oxides, lustres and my own illustrations and text and some vessels will become more sculptural with cascades of porcelain flowers, plants, birds or creatures.